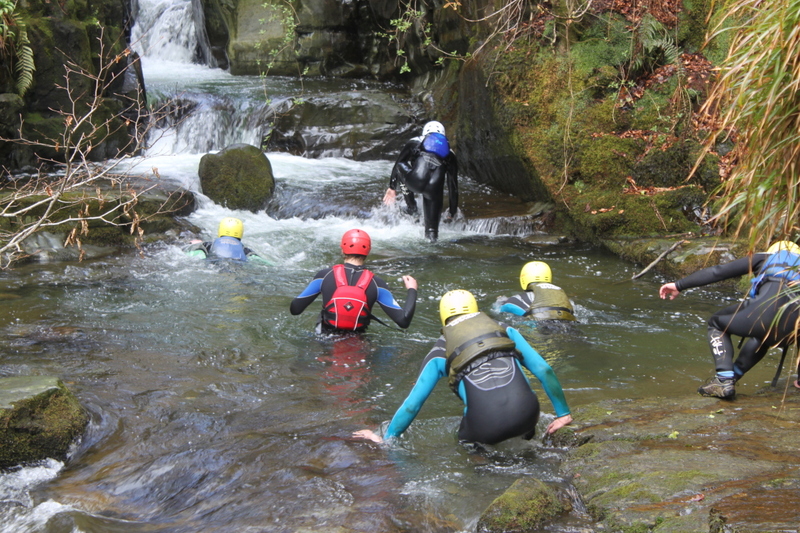 Gorge walking is one of our most popular activities! A favourite with school and youth groups, families, stag and hen groups and as a team building activity for corporate groups. 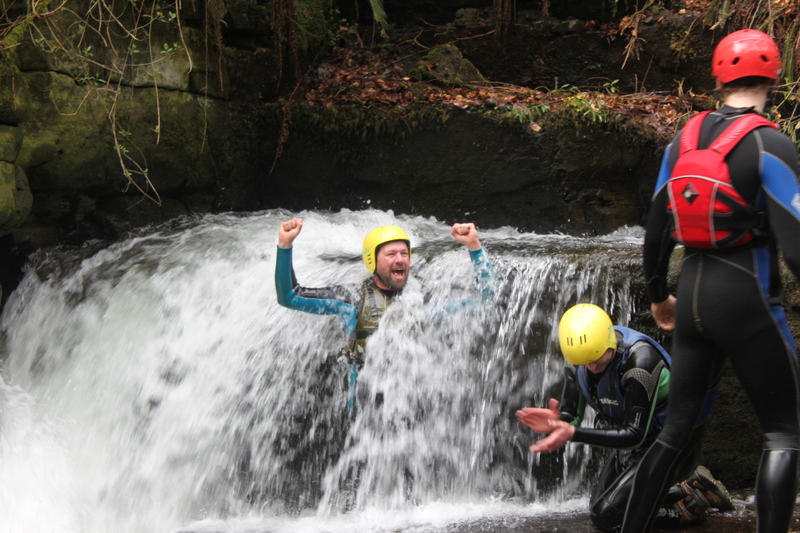 Gorge walking involves climbing waterfalls and swimming across ponds while negotiating your way up a river bed. We can organise sessions to suit most ages although we recommend a minimum age of 10 years in the summer months. Sessions can be run at any time throughout the year (as long as the group is aware of the cold winter water). 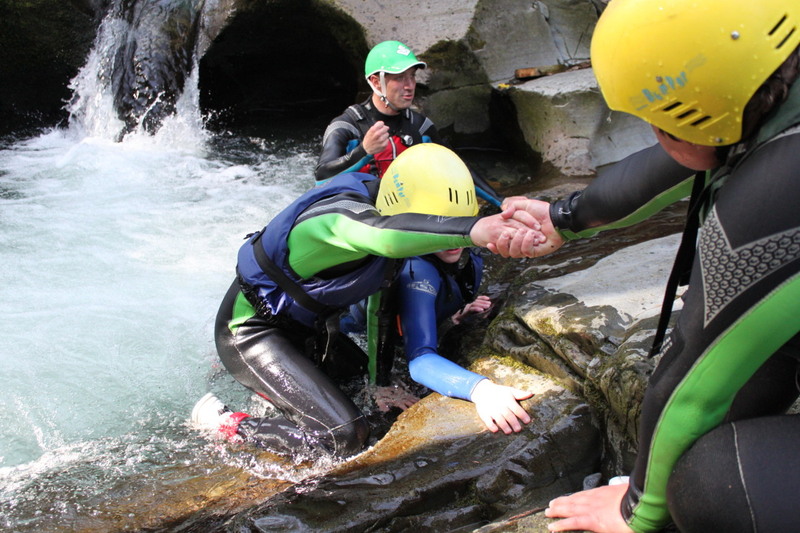 5mm Wetsuits, buoyancy aids and helmets are provided as well as a fully trained guide. 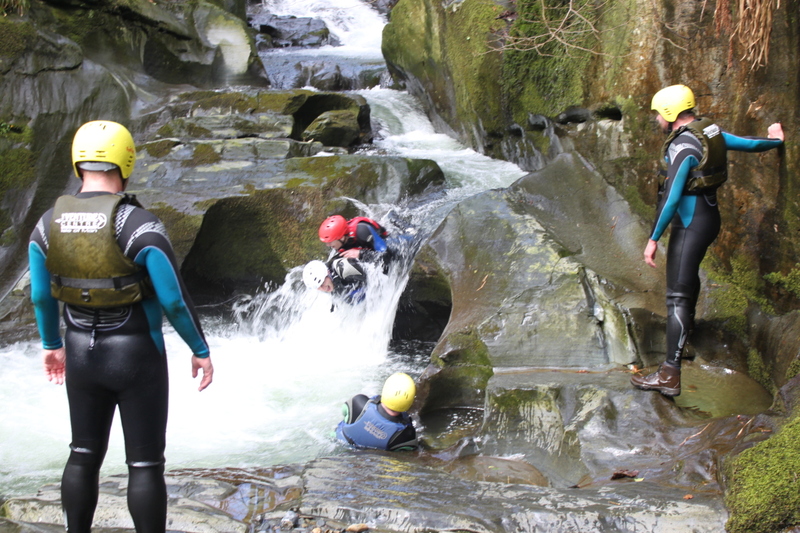 During the gorge walking session you will be provided with a wetsuit and other appropriate safety equipment. Please bring a pair of sturdy shoes to wear during the activity i.e. old trainers etc. Approximately 2 hours from meeting at the Venture Centre to kit up, to finishing after the activity. Ideally walking boots with ankle support or trainers. All the above items will get wet.